I totally forgot I had a shoe obsession. How did I forget, you ask?? Well for 2 years, my husband and I lived in an awesome downtown condo. As amazing as the condo was, it had tiny closets. And I mean T-I-N-Y. After moving from a condo with a walk-in closet large enough to fit a bike, this was terrifying to me. Not only did I have to get rid of a lot before we moved in but I had to limit my shopping. There was just no room for new items. Since not shopping was virtually impossible, I made a deal with myself. If I bought something, I had to give something else away. It actually worked. I never ran out of room and I did a great job of cleaning out my closet more often. Not only do we have a huge walk-in in the master with a built-in shoe shelf (above), but each of the two guest rooms also have walk-ins with shoe shelfs. So needless to say, I am back to shopping and NOT giving anything away. Which brings me to today...meet my new shoes. So a while back, I bought a similar pair at Steve Madden but once I got them, I didn't love them on. They were too narrow and they had weird studs. When I saw these online, I knew I had to have them. I'd been searching for black wedges that were not too black - I have a thing for sandals that have too much black - they look too harsh. These were perfect because the top strap across the toe was narrow so there was not a lot of black. Anyway, since I got them, I have been living in them! I love them so much I might even order some of the other colors. I have been eyeing the cognac! I got these in the Fawn patent because my old SM fawn wedges are started to look old and dirty. I wore the other ones like crazy last year so I am hoping to do the same with these. These come in other colors too...a black leather, black suede, green suede and white leather (I think it's leather). These are really comfy because the platform is so high. Love them!! These were an impulse buy over the weekend. They are cheap, cute and come in so many fun colors. I had a hard time choosing between these gold ones and the white ones. I haven't worn them yet so I cannot talk about the comfort level but they look cute so that's all that matters. Reviews online say they rip easily...they seem sturdy to me so I'll let you know if anything happens! I actually got these when I got my cobalt blue flats. They are kids but large enough for my feet (yay). They are super comfortable. I got in a whole days worth of wear with no blisters! They are really cute on and my only issue with them is the glitter fall off. It does...a lot. I noticed our dogs were a bit more sparkly the day I had them on! :) But that's nothing a little mod podge can't do. 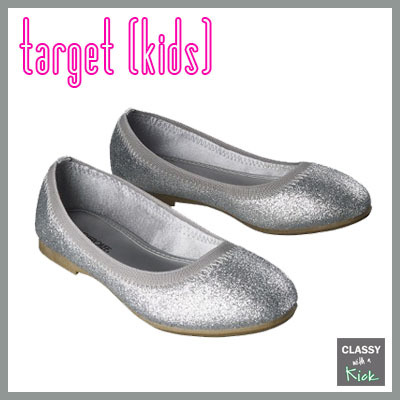 I mod podged my sparkle flats from F21 and it totally worked. Problem solved! Lucky for me and my excess closet space, I didn't have to give anything away to keep any of these! 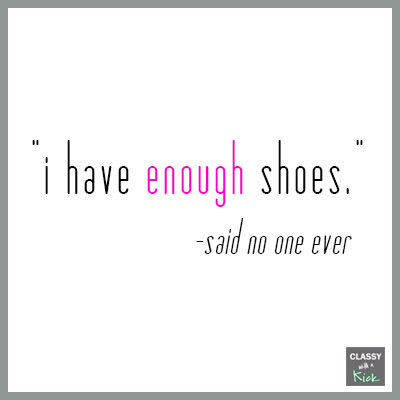 Are you a shoe addict too? What great shoe finds have you found recently? 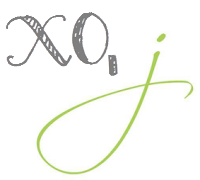 Ahhh love your closet! 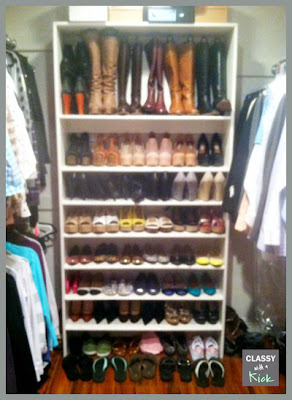 I saved a picture of it because I sooo wanna do this in our closet!! I literally have dreams about having a walk in closet...sigh :) Love all those wedges! Haha, that is one fabulous shoe collection! Love that quote at the end, so true! I love those gold sandals! I need those in my closet! I have three walk-ins too and my poor husband only gets half of the one in the master! I am SO jealous of your closet! I don't even have an actual closet right now, just an armoire and two dressers, sigh. Those UO sandals are really cute! 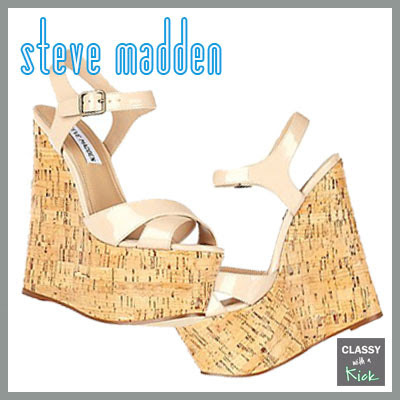 I have very similar Steve Madden wedges to the second pair and I LOVE them! i need more wedges in my life!! Your closet is... GLORIOUS! I can't think of a better word to describe it! I've loved Styeve Madden since I was in middle school! man, if only i fit into kids' sizes! would save me hella money. 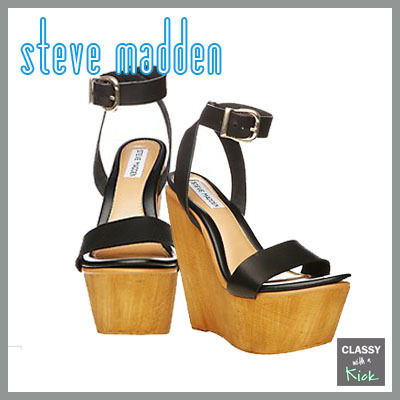 I love these Steve Madden wedges but I am going to get these sandals from urban outfitters! Adorable!!! I found some cute shoes at H&M and Target lately! I have been also wanting more Sam Edelman sandals... I'm stalking them at Nordies. Sigh.. I need a closet like yours, mine are all over the place!! hee hee.. great picks!! You can never have too many shoes. I try to explain that to my husband all the time. I love those UO flats. So cute! ohmygoodness! Your shoe closet is amazing!!! I wish I were as organized as you. As of right now my shoes are scattered in 5 different rooms. haha.. mostly on the floor :) Thanks for sharing! A)I want your shoe closet, not only want, I really need it.